The rural area of Pictou County is known for two things, their fantastic pizza and for shutting down their downtown core once a year for their signature event, the Riverfront Jubilee. This festival has hosted some of the best east coast talent such as Classified, Joel Plaskett, The Sheepdogs and Great Big Sea while also providing a hometown spotlight for local artists on both their main and small stages. A cornerstone event in both the community and Atlantic Canada, Jubilee weekend brings the small town together and engages it with the incredible music scene in which it occupies. In it’s 22nd year, this year’s line-up is one of the festivals best, with main stages of headliners from top to bottom and a unique palate of late night stages to satisfy attendees who just can’t get enough. The festival kicks off Friday with a roster of acts you can’t help but sing along to. Area regulars Grooveback will infect the audience with their seedy, funky blues rock while fellow regulars Andre Pettipas and the Giants will saturate the stage with their soulful rock and roll. Then the dancing shoes come out with the multi-platinum selling band Haywire from Prince Edward Island. Their infectious 80’s sound will pair perfectly with closing act PC Pop Classic’s, who will take over the reins of the nostalgia train by covering a slew of 60’s and 70’s hits; all complete with era-appropriate attire. On the late-night stage is a second showing of Grooveback and Andre Pettipas and the Giants at Wranglers Bar and Grill. ECMA-nominated hip-hop artist Quake Matthews, who just released his fifth full length album “Celebrate The Struggle”, will bring his raspy poetic hip-hop to the Commune along with DJ Cashis. On Saturday, the dulcet tones of Matt Mays take the stage sporting new music from the follow-up to his Juno-winning album “Coyote”. “Once Upon A Hell Of A Time” is a complete 180 to it’s predecessor, it’s rambunctious, crashing rhythms reinvigorate Mays as an artist and bring back the uplifting folk-rock anthems that his fans have grown to love. Mays is joined by Wintersleep, who’s track record includes appearing on the Late Show with David Letterman, opening for Paul McCartney and recording a song with legendary Canadian bass player Geddy Lee. They are crowd favourites all over Nova Scotia so expect a packed crowd and cracked voices for this one, especially if they break out their hit “Weighty Ghost”. Also on the bill are The Town Heroes, who return to the Jubilee stage as a quartet after recruiting bassist Tori Cameron and guitarist Aaron Green of the band Hello Delaware. Recently nominated for two ECMA’s for their album “Please, Everyone”, the bands extended line-up is brought forth by their growing sound that has evolved from punchy tracks such as “Berlin Wall” to more mature, atmospheric tunes such as “Baton Rouge”. These islanders will perform a second set as well at Wranglers as a part of Late Night Stages along with Halifax songstress Natalie Lynn. Over at the Commune, DJ Night Feast and Lonely Kid round out Saturdays line-up. Sunday’s finale showcases both up and coming and established heavyweights of the east coast music scene. Folk-rock duo Fortunate Ones have received a plethora of recent honours including the 2016 Juno for Contemporary Roots Album of The Year and 6 ECMA nominations over the past two years. Fellow opener Matt Andersen headlined the ECMA Big Ticket Showcase and had a strong showing with his 7th studio album “Honest Man”. Finally, is festival headliners Alan Doyle and the Beautiful Gypsies. 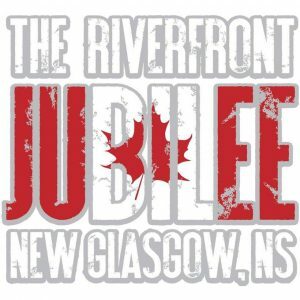 The last time Doyle played the Jubilee was with Canadian icons Great Big Sea back in 2013. Their headlining show that Sunday was the first sold out show in the history of the festival and being the great showman that he is, Doyle will likely be looking to top that. Accompanied by his band The Beautiful Gypsies, Doyle’s signature voice fits into a spectrum of uplifting, playful and powerful songs that remain true to his Newfoundland roots. One the bright new faces of Pictou County’s music scene, Stonehouse, will close out Late Night Stages along with the Mike Bochoff Band. DJ Tlee & Technikyla and Pineo and Loeb will wrap things up at the Commune.